Malocclusion has been shown to be a number one reason why patients are diagnosed with tooth decay and build up plaque and other similar problems. This condition of malocclussion is the imperfect positioning of the teeth. How might this affect your dental health ? It can affect in many ways as your bite will irregular for one problem that can come out of this would be tooth decay as having a bite off can make your daily oral hygiene more difficult than it should be. 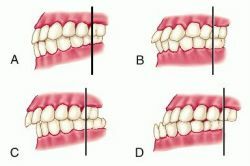 How can a malocclusion be adquired? This condition can be adquired from many habits like thumb or finger sucking, premature tooth loss from either an accident or dental disease and also several medical conditions. Not only can malocclusion come from these habits or medical conditons but also, from just genetics such as extra teeth, impacted teeth, abnormally shaped teeth, pacifier use beyond the age of 3 can be all causes for a malocclusion. Oral hygiene can be difficult when malocclusion is present as teeth are in misalignment within the two dental arches. This causes for oral hygiene to be a challenge for some as tooth brushing can become more difficult and flossing can for some seem like an impossible. With that in mind many people with this condition can begin with negligence when it comes to oral hygiene due to having some sort of difficulty but, this should not be the case. A good oral hygiene should always be a good number one priority for people as it has been shown your overall health does depend on your dental health. Unfournatelly, malocclusion is not preventable but can be minimized by controlling such habits as mention before like finger or thumb sucking for example and other habits similar. To treat this condition you should visit your dentist to see what he decides it’s best for you. For most with overcrowded teeth it can be treated with orthondontics, also often tooth extraction can be necessary. However, for others treatment can be different surgery can also be an alternative for those who have underbites or overbites. This entry was posted in dentist, santa ana, smiles on bristol and tagged dentist, Malocclusion, santa ana, santa ana dentist, Smiles on Bristol on May 25, 2016 by Francisco Torres. A mouth guard is a cushion device that goes in the mouth to protect teeth from damage. Mouth guards are recommended to any person that is in contact sports or recreational activities. They protect and reduce the risk of sports related injuries. Injuries such as breaking teeth, injuring lip or cheek, chipping, and jaw injuries. In general, the mouth guard only covers the upper teeth, but in some cases your dentist can recommend upper and lower mouth guards, this depending if you have braces or if you wear other dental appliances. There are three types of mouth guards, stock mouth guards, boil and bite mouth guards, and custom fitted mouth guard. 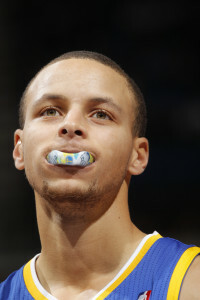 Stock mouth guards come preformed and are ready to wear, they come in certain sizes like small, medium, and large. They are the least expensive and can be found in most sporting goods stores and some department stores. The disadvantage to stock mouth guards are that they don’t fit and stay in place properly. This causes the athlete to clinch his teeth together making it difficult to breathe and speak normally. They are also very ill-fitting and when it’s adjusted it lower the protection it should provide. Boil and bite mouth guards can also be bought in most sporting goods and department stores. They have a better fitting than stock mouth guards. The way this guard works, you place the appliance in warm water until it becomes soft, then it is placed in to the mouth making sure it covers your teeth and gums. Using your fingers, lips, tongue, and cheeks the wearer forms it as it cools. The disadvantage to boil and bite mouth guards are that if not done correctly the protection will be minimal. This appliance is bulky compared to the other guards and retention is better than stock but inferior to a custom made appliance. Custom mouth guards are the best fitted guards; they are fabricated based of an impression of your teeth. These type of guards provide the highest level of protection, the fit and comfort is excellent and creates minimal inconvenience when worn. Our Dentist in Santa Ana Dr. Danial Kalantari recommends this type of guard to his patients that play sports and recreational activities. The only disadvantage is the price, but for the lab work and protection of your teeth it should be considered money well spent. This entry was posted in dentist, santa ana, smiles on bristol and tagged dentist in santa ana, Mouth Guard, santa ana dentist, smiles on bristol dentistry on May 25, 2016 by Francisco Torres. Have you been putting up your dental visit because you’re embarrassed? You shouldn’t be, at your dental visit you won’t be judged so there is nothing to worry about.If thinking about having a dental visit you are on the right path to getting started on a good oral health, great job! You might think that because you don’t visit your dentist regurarly or you don’t have a regular dentist you are going to get lectured when having your next dental visit, but that is not the case. What your dentist is here for is to help you have a better oral health and keep you in tip top shape with an optimal smile. Having your regular check ups is usually recommended twice a year, why ? This is usually recommended due too dental plaque that can start to build up through out the six months or even tooth decay that can begin to form. By having those check ups regularly that will prevent from further problems. There are many reasons why you should be having your dental visits regularly one being caries, caries can be stopped before it becomes at greater problem by using a dental filling. Also, your dentist can be the first to spot any serious problems such as oral cancer, gum disease, or any other systemic problems that can be taken care of as soon as possible with a dental treatment. It is your dentist mission to maintain your oral health at a stable and not lecture you about oral health decisions from the past. Your dentist knows that your health is more important than any other lecture he can give you. This entry was posted in dentist, santa ana, smiles on bristol and tagged dentist, dentist in santa ana, Embarrassed about your Dental Health, santa ana dentist on May 20, 2016 by Francisco Torres. Choosing a toothpaste can be difficult, there are so many options to choose from. There is whitening toothpaste, fluoride toothpaste, tartar control toothpaste, and many more. But which one works best for you ? This question can be answered based off your dental needs. The best way in figuring this out is by, scheduling an exam with your regular dentist. Your dentist can give you some tips on choosing the correct toothpaste and explain which toothpaste he recommends for you. If by any chance you can’t schedule a dental exam, here are a few tips that might help. There’s plenty of toothpaste to choose from but no matter what brand make sure it is ADA approved. The American Dental Association conducts studies on the toothpaste for safety and efficacy. You can also trust claims made on packaging and labeling are true if they have the ADA seal. There are many counterfeits product that can have very dangerous ingredients, but there is peace of mind if you purchase an ADA approve toothpaste. Another important factor in purchasing a toothpaste is making sure the toothpaste contains fluoride. Fluoride toothpaste helps remove plaque from the teeth and gums. Plaque can cause gum disease and tooth decay. Fluoride makes your tooth enamel stronger and it re-mineralizes areas that have acid damage. Fluoride has help lower tooth decay occurrences in adults and children. Tartar control toothpaste are also very great to consider, most of tartar control toothpaste contain fluoride. Tartar control toothpaste helps prevent against any build up or gum disease. When there is a plaque on the teeth that isn’t removed promptly it hardens and creates tartar. Tartar can begin building up underneath the gum level leading to gum disease. Tartar is very difficult to remove and has to be professionally removed by a Dentist or Dental Hygienist. If you have experience sensitivity on your teeth then it’s a good idea to switch to desensitizing toothpaste. Desensitizing toothpaste contain ingredients that block pain signals to the nerve. There are some pastes that soothe the nerves inside the tooth, and contain fluoride to re-mineralize the tooth and repair expose dentin. 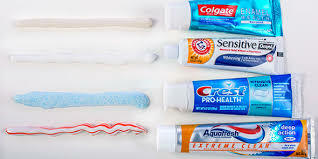 These toothpaste will usually treat sensitive teeth, if you don’t notice any change in sensitivity it’s a good idea to schedule a dental exam, to make sure there isn’t a bigger problem. This entry was posted in dentist, santa ana and tagged Choosing a Toothpaste on May 17, 2016 by Francisco Torres. If you are a senior I’m sure you are noticing some changes happening to your body and to your mouth as well. The aging process is a process that everyone has to go through at some point in life. At this point many seniors might think it’s not worth taking care of their teeth as much as they used too, but remember your teeths/ mouth health is your overall health. Therefore, you should always be taking care of what matters like your health. With all those changes happening you should be aware of what is normal and what is not to help determine if there is something to be worried about or not. 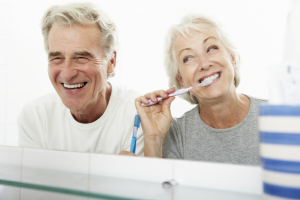 What are are some oral health changes you should expect for an aging mouth, a common changes for seniors is tooth wear. Why is this ? Well after so many years of using your teeth to chew and bite it is normal for your teeth to start to wear out. As we all know everything over time it wears out and this goes the same way with teeth. Seniors who suffer from a condition called bruxism are more likely to have tooth wear at a faster rate. The apperance of darker tooth color is another change you might see in your teeth as the aging dentin tends to hold stains easier making your teeth look darker than their normal stage. Gum changes are also in this list as gums with the time tend to recede and move away from teeth/roots making the tooth as a whole more vulnerable to tooth decay and sensitivity to hot or cold. Tooth decay also known as cavities are not left behind as we age as we are losing the minerals that made our teeth strong making them a perfect target for bacteria to store and create a caries. Other changes that if you are experiencing are not normal and should be taken into a serious note are the sudden start of tooth loss, as we know dental cavities and gum disease are a number one reason to leading tooth loss but a with a good oral hygiene and your regular dental visits your teeth should last you a lifetime. Dry mouth is another change some seniors ght experience due to the reduced flow of saliva, saliva is needed to help lubricate the mouth and also help neutrilize acids from acidic foods that can produce plaque. Dry mouth can also be a consequence of medical conditions that can have that side effect. If dry mouth is untreated this can cause tooth decay in the long run and also tooth loss. Another condition you should take note on are bleeding gums, bleeding gums can be a sign of gum disease. This disease is produced from build up plaque that has been left over the years. Mouth pain is also in this criteria, if you are having mouth pain make a quick dental visit to be examined and check for any sores that can be a signal of a gum disease or even oral cancer. High at risk, seniors who are heavy drinkers or smokers are at higher risk of obtaining oral cnacer. This entry was posted in dentist, santa ana, smiles on bristol and tagged dentist in santa ana, Listen Seniors, santa ana, santa ana dentist, santa ana dentistry on May 16, 2016 by Francisco Torres. Most of us know how important it is to have our regular checkups and cleanings done, but do we take this seriously? This is a very essential part to help keep our teeth in a healthy and good shape.You should be aware of how your dental health can affect your overall health therefore dental cleanings should be in your mind. Not only are these dental cleanings helping you stay away from plaque ,but also they help to prevent caries. Knowing this you should be visiting your dentist two times in a year to get your regular check ups and your regular cleanings to be on a tip top shape. 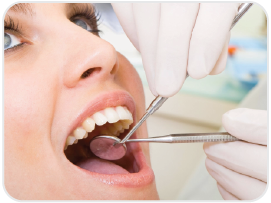 By doing this you will be less expose to several oral conditions such as oral cancer, and gum diseases. What should you expect from your regular dental cleanings and check ups ? At your dental visit you should expect to get several x-rays taken to allow your dentist to check for any tooth decay. If any tooth decay is present you can proceed to get treatment done either before getting your regular cleaning or after. Depending on your choice treatment will proceed as needed. The regular cleanings are helping you remove all plaque that has been built over the years. Also, it will help remove and coffee or tea stains that you are not able to remove with simply brushing your teeth. However, brushing and flossing your teeth on a daily basis is something you should be doing to help avoid the plaque and stains from being formed. By doing all this done you are helping to prevent from other problems that can lead to tooth loss. There are many problems that can appear from not having a good oral hygiene that can be crucial in the end . Always remember your dental health can affect your overall health. This entry was posted in dentist, santa ana, smiles on bristol and tagged dentist, Regular Dental Cleanings/ Check ups, santa ana, santa ana dentist on May 13, 2016 by Francisco Torres. Have you thought of the good and bad oral habits you have and how they can affect you in the long term? Well there are things that you are doing on a day to day basis that you have never thought can be affecting you. Some bad oral habits that you should be avoiding are using your teeth as tools, using a hard bristle toothbrush, eating too many sweets on a daily basis, and let’s not forget not brushing and flossing properly. These bad oral habits can lead to having a bad oral hygiene that with time will cost you, your teeth. Unfortunately many people have these habits on a day to day basis causing them not only tooth decay but also gum diseases, tooth discoloration , and bad breathe, all leading up to tooth loss. When having bad oral habits not only are your teeth going to have consequences but also your bite can change as loss of teeth is occurring the remaining of your teeth have all the pressure taking your smiles to a drastic change. Furthermore your self-esteem is another one to take a hit as bad breath starts to appear, also tooth discoloration this can bring anyone’s self-confidence down. Other serious problems that can come with bad oral habits are gum diseases and tooth loss. Swollen, red, inflamed, and sensitive are some sign for gum diseases. To be able to break this cycle of bad oral habits, we should start practicing good oral habits, such as tooth brushing correctly using a tooth brush with soft bristles or bristles that accommodate to you, and flossing daily. Bad habits are hard to get rid of, but with the practice and determination anyone can break through these bad oral habits. By flossing at least once a day daily, this helps remove plaque and food particles that the tooth brush bristles can’t reach to keep your gums in a healthy shape. Also, brushing at least twice daily or after every meal to help was out any food particles or any acids from food left over from food. By doing this and having your regular dental visits you will learn to break through the bad oral habits you are having. This entry was posted in dentist, santa ana, smiles on bristol and tagged dentist, dentist in santa ana, Oral Habits, santa ana, santa ana dentist on May 13, 2016 by Francisco Torres. If you are an expecting mother you should be aware of how your dental health can affect your pregnancy. Knowing and being aware of how your dental health can affect your pregnancy can help you make things easier and smoother to be able to take care of your overall health. As an expecting mother you are probably already taking all the right steps to ensure a healthy and safe pregnancy. We are sure you are taking care care of a proper diet and having your prenatal care from your doctor, you should also have in mind your dental health. If you already are, great now you are prepared for a healthy and safe pregnancy. As we all know your dental health and your overall health are all connected this is why it is important to have a good dental care that allows you to have a great overall health at this time of pregnancy. While being at the stage of pregnancy it is important to be able to take care of your teeth. Reason being your body is going through many changes which contributes to having the chances to being prone to more dental problems. Some conditions that can have a higher risk while in pregnancy are tooth decay and gum disease. Not only are these the conditions but others as well. As variations in hormone levels are changing the increase if blood flow is also increasing, drawing more blood to the gums causing dental plaque. This promoting several periodontal problems. Pregnancy gingivitis is a common dental problem, that causes red and swollen gums. Many women might experience sensitivity in the gum area that are likely to be inflamed during this time of pregnancy. Bleeding and tenderness are also an effect of this condition. Not only is gingivitis a condition but also pregnancy tumors are likely to be expected if there is no proper oral hygiene. These tumors come as a result of the irritation caused by the dental plaque, furthermore these tumors are noncancerous and harmless growths that will subside after giving birth. If gingivitis continues and there it is not taken care off it will lead to a periodontal disease. Studies have shown that gum disease is connected to low birth weight and premature, not only this but dental infections which have already entered your bloodstream can be linked to miscarriage. If you develop any of this conditions don’t hesitate and visit your Santa Ana dentist Dr. Danial Kalantari to obtain a recommended gum disease treatment to improve your dental health . This entry was posted in dentist, santa ana, smiles on bristol and tagged dentist in santa ana, Expecting Mother : Dental Advice, santa ana dentist on May 12, 2016 by Francisco Torres. If you are a patient with fear of the needles, you are not alone. Statistics show that about 20 million Americans are terrified of needles. Learning about needle phobia/fear is a good first step to getting oral care. The fear of needles has plenty of names one being Trypanophobia but what does this term mean it is the extreme fear of medical or dental procedure that has to do with an injection or in another words the needle. This being a very real condition it comes with a lot of downs as it puts people at greater chance of skipping regular dental visits. 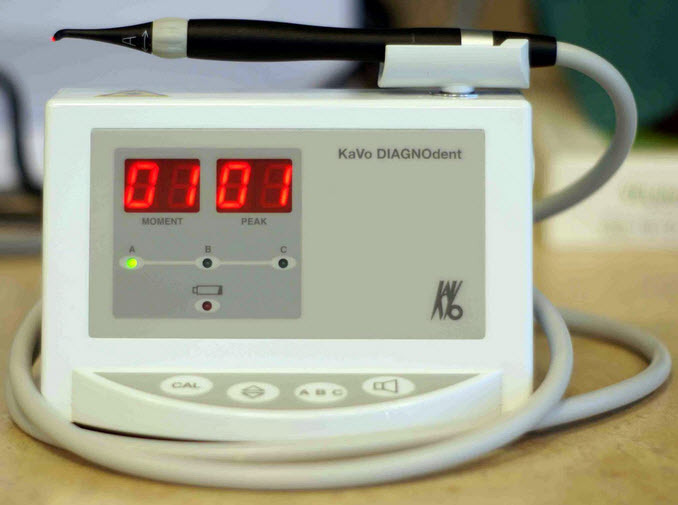 As lightly as this needle fear might sound, it shouldn’t be taken as simple as it sounds as this can take a patient to confronting major stress level and even dental anxiety. This causes patient to stop seeking dental and medical attention when needed. Learning about needle phobia can be a good first step into getting the professional dental care that is needed. What are some symptoms when having needle phobia or fear? The feeling of fainting, nausea or even dizziness and sweating are some of the signs. The increase of rapid heart rate, also if there is difficulty before a dental appointment. Not only are these the symptoms of this condition but others such as feelings of panic and a violent resistance when at a dental office. Studies not only show the symptoms of this condition but also reasons behind why this fear might have some underlying issues from the past experiences with needles. This entry was posted in dentist, santa ana, smiles on bristol and tagged dentist in santa ana, Needle Fear, santa ana dentist, smiles on bristol dentistry on May 11, 2016 by Francisco Torres. This entry was posted in dentist, santa ana, smiles on bristol and tagged dentist in santa ana, Laser Caries Detection Device, santa ana dentist on May 11, 2016 by Francisco Torres.